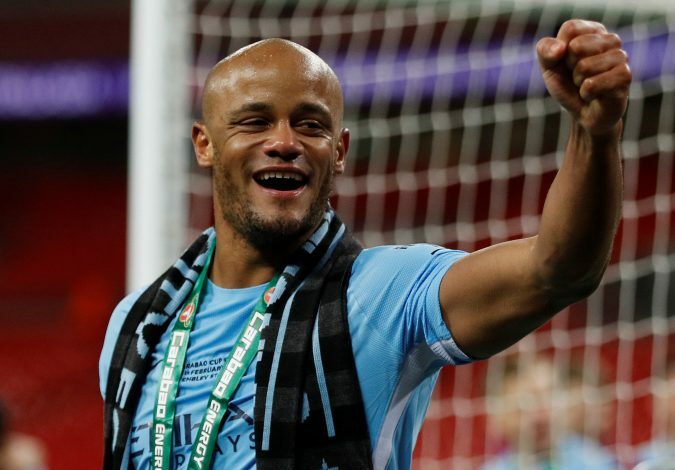 Vincent Kompany has made an interesting revelation regarding Manchester United fans ahead of the UEFA Champions League quarter-finals clash against Liverpool. Although it is unknown how much is his positivity regarding United fans going to pay dividends, but both City and Liverpool enter a crucial stage, with two vital Premier League ties surrounding a two-legged UCL blockbuster. According to a report in Sky Sports, Kompany stated that he feels the Red Devils’ fanbase in Manchester will be cheering for their neighbours rather than arch-rivals Liverpool. “It is the only thing people talk about in Manchester right now. The Champions League is obviously massive, somehow I feel like we do get a little bit of support from the United fans for that fixture,” said the City skipper. Kompany did sound positive regarding United fans, but whether that turns out to be the case will only be witnessed during the European tie. City themselves host United at the Etihad on April 7, and beating them could eventually hand them the Premier League title. Prior to the first leg of the UCL tie, they also square up against Everton in a crucial away encounter. The league leaders have a 16-point lead over United, who are at second place. The Cityzens beat Jose Mourinho’s men 2-1 in the clash at Old Trafford earlier this season, and would be eager to complete the double over the 20-time English champions, who bowed out in the last 16 of the Champions League thanks to Sevilla.